For one East Village resident, helping the community is all fun and games. 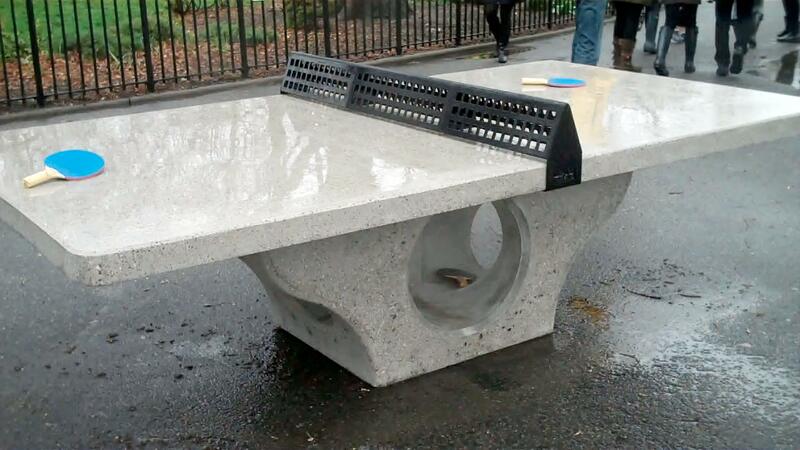 Local businesses have sponsored Henge's tables - like this one in Tompkins Square Park - in communities nationwide. Alan Good, 56, abandoned pre-med studies over 30 years ago to dance with legendary choreographer Merce Cunningham, becoming a fearless innovator of space and movement. Now, he keeps his interests alive through his company, Henge, building outdoor concrete table tennis platforms that are both works of art and tools for social interaction. “Here was a converging between nature, the arts, business, urban design … and large cities,” he said. Since 2009, the tables have fostered communities nationwide, beginning in New York’s Tompkins Square Park, with the support of local businesses. Don’t play table tennis? Doesn’t matter. Good encourages people to use the tables however they feel inspired. And yes, dancing on them is totally allowed.